Packing for a trip will be made easier with these cool travel gadgets. These packing cubes are amazing for the organized traveler or the "wannabe" organized traveler. This set comes with 3 cubes, but you can purchase all different sizes and colors. They are great on family vacations as you can organize your kids and your clothes in these lightweight cubes by color. Just imagine how easy it would be to unpack at your destination, hand your child a cube and say - here's your stuff, go an put it away. With corded double zipper pulls and a mesh top for ventilation, you will wonder why you didn't use these before! Packing cubes are great when you are packing to return home. You can separate the dirty laundry from the clean laundry, and you can even separate your clothes by what you will put in the laundry wash when you get home. It will make laundry a breeze and free up valuable family time! I purchased a set of red packing cubes. While I don't use them necessarily for clothes, I use them for holding the small items together. I have one for medicines, one for electronics and one for larger loose items. It makes it a lot easier to find these smaller items when we are travelling. Warren is always impressed when he asks for something and I can tell him where it is in seconds! Join in and write your own page! It's easy to do. How? Simply click here to return to Cool Travel Gadgets. These envelopes are great for packing for your next vacation. They are a great way to keep smaller things together in your suitcase or carry on bag. Water resistant, made of PCV mesh, these envelopes come in various sizes to organize your bags. 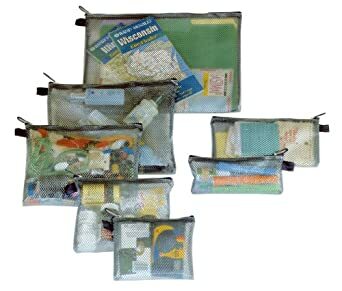 You can use them for toiletries, medicines, maps or any other items you and to keep separate or together. You could even throw a wet swimsuit in one to keep it from getting other items in your case wet. These bags are easy to clean and are more durable then using Ziplocs. The zippers are sturdy since the plastic is transparent, you can easily see what is inside. I don't think they qualify for the TSA liquids bag sizing however, so any carry on liquids should go in the standard bag the TSA issues. So when packing for your next vacation. Don't forget your Packing envelopes! There is nothing worse than going to your suitcase to take out your favorite shirt and to find that it is wrinkled from travelling. With Wrinkle Wiz you can spray the wrinkles away. Wrinkle Wiz eliminates odor and wrinkles while it controls static cling. It will dry in just a few minutes and comes in a 2 oz travel size bottle to make it easy for travelling. So don't bother taking a travel iron with you or worrying if your hotel will have an iron for your favorite shirt! Just spray it on, smooth out the wrinkles with your hand and let it dry. It's that easy! When I first found this product I thought "really?" But now I can see the use in these hangers. 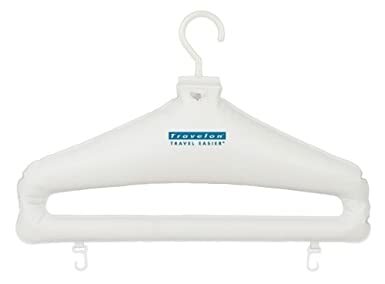 They are great if you need a couple of extra hangers, sure, but where I can see they would be handy is if you are travelling and need to wash a few items out in the sink. These hangers are great for hanging wet laundry. They are larger so your clothes will dry better and hold their shape better. You won't have the the "wire hanger grooves" in them. There is nothing worse than wearing your favorite shirt after you washed it and you have those silly nubs on the shoulders. The hangers provide more surface area which increases air flow through your clothes. These hangers are easy to inflate and deflate down to pack away easily. 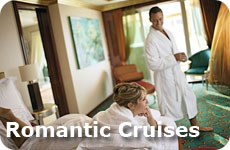 A great addition to your next vacation.